We move a home a fair few times over the course of our lives and considering how much work you usually have to put into it that is a lot of time spent in preparing. You have got to set aside time to take care of all sorts of jobs; packing, hiring a removal van, planning your journey and so on. That is a lot of work at the best of times, and potentially problematic at the worst of times. By moving with us however, we'll minimise all of the potential moving stress. If you're moving to Poplar, E14 Moving Service will provide a variety of services that will help make your home transition as easy as possible. Our team of professionals will handle the packing and unpacking, the furniture removal as well as the transportation - and they will do it clean and efficiently. With us your house removals to Poplar will be made easier. Just call us on 020 8746 4402 and our movers will handle everything else. It is a residential district with rich history. 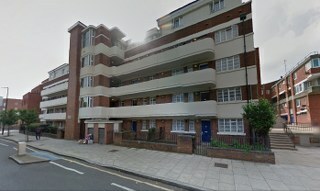 It is located in the London borough of Town Hamlets, and is part of the E14 postcode area. This East London area has a variety of architectural merit, and that’s due mainly to its roots as a parish. The All Saint’s Church is a Grade II listed building, and is a fine example. St Matthias Old Church is another one - it has intricate mosaic details within. There is a variety of housing opportunities in the area, Lansbury Estate and Balfron tower are two examples of accessible public housing. There is also a variety of 18th and 19th century terraced houses as well. The area is an accessible place too, thanks to an availability of public transportation. It has a few Docklands Light Railways within its boundaries, providing connections to Stratford, Lewisham, Beckton, and more. In addition to this there are a few bus services. Poplar’s Chrisp Street Market is a small shopping area, providing the residents with general goods and food items, and is well served by the local transport connections - most notably the All Saints station and a small fleet of London buses. There are a lot of wholly beneficial advantages to hiring our reliable removal company. By putting your house removal in the hands of professionals, you are saving yourself a sizeable amount of work. You do not need to worry about the worries of van hire and van driving, you can let our movers handle those jobs. You can focus on the family or relax instead. So take this time to unwind and think about what new opportunities this removal will open up for you. Our company has services to appeal to every type of mover in the entire E14 area, so it is definitely worth getting in touch with us. We provide peace of mind here at Moving Service. Our professional removal staff in Poplar, E14 is highly trained and very friendly as a whole, and on top of that we offer a full guarantee if anything goes wrong. Our removal services in Poplar are simple, easy to hire, and can save you a lot of time and money. So call us today on 020 8746 4402!